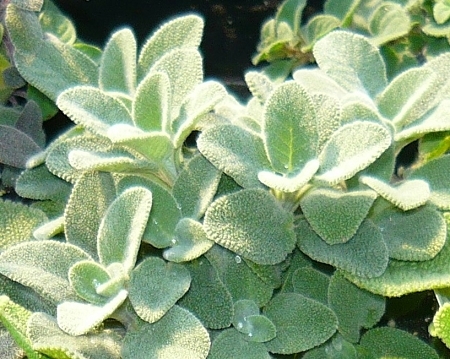 Berggarten Sage - Hardy culinary sage variety with large somewhat more rounded silver-green leaves. Compact and low-growing habit makes this an ideal choice for containers. Excellent scent and flavor for culinary use. Perennial zones 5-8. Live starter plant in 3 inch container.